1. Cut bread into cubes, about 1″x1″. Lightly coat with olive oil and place in a 350 degree oven or toaster oven until lightly toasted. 2. 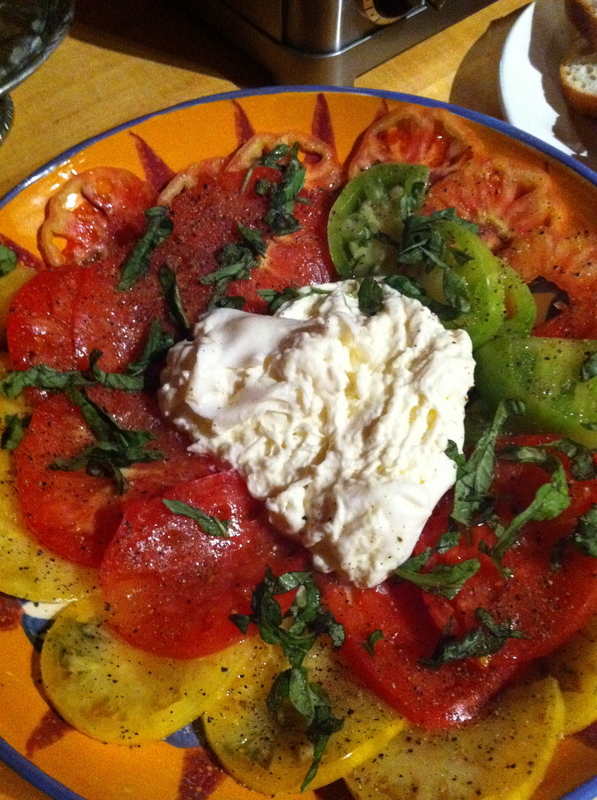 Slice heirlooms into wedges, slices, quarters – whatever you think looks pretty. GENTLY toss with croutons. 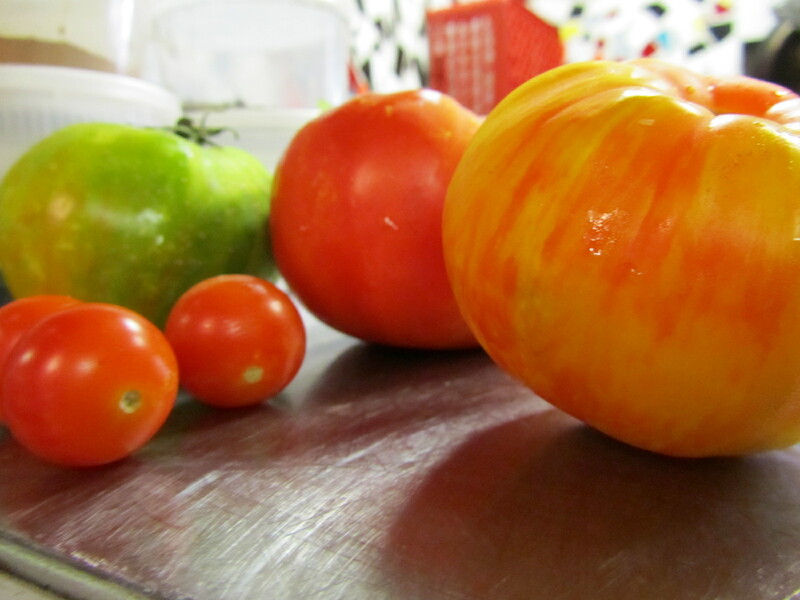 Practice pretty plating and arrange tomatoes and bread on 4 plates. 3. 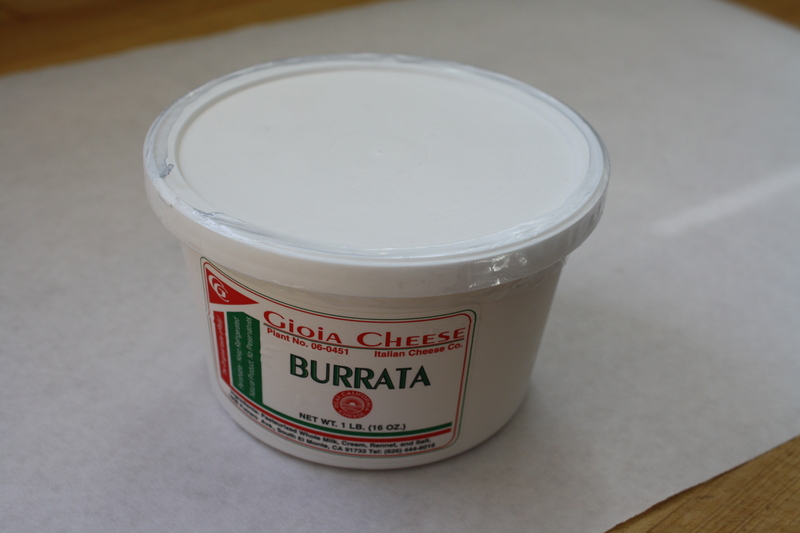 Sprinkle with basil and top with burrata (the amount is up to you…I say go crazy! ), then add salt and pepper to taste. 4. Serve to your guests and watch as they ooh and ahh! 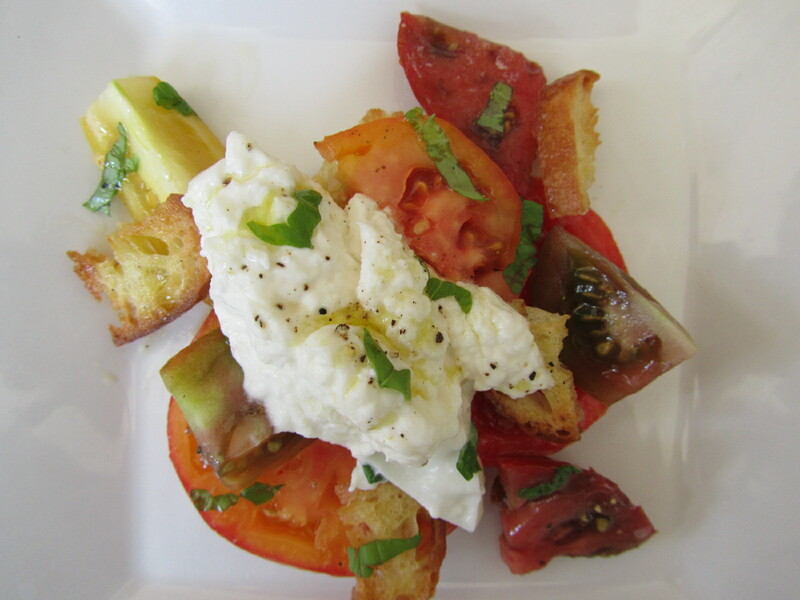 This entry was posted in bread, salad, sides, Sweet Life Laur Original, vegetables, vegetarian and tagged burrata, heirloom, olive oil, panzanella, Sweet life laur, tomato, vivant fine cheese by Laura Zolnoski. Bookmark the permalink.